Swing Cursors can be defined as point or indicator on the screen, it is used to select the input from the system that user operates with mouse. 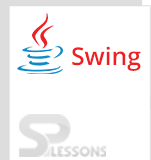 Three types of Swing Cursors are available in java collection framework to retrieve the elements from the collection. Enumeration is used to retrieve the objects one by one from the collection framework by elements method as follows. Where v can be any vector object. Enumeration is only used for legacy classes and developer can perform only read operation. Iterator is used to overcome the limitations of the enumeration. It is universal cursor and developer can perform both read and remove operations.Creation of object to iterator is possible with iterator() as follows. Iterator is only for one direction cursor. forward direction of cursor is available where as in ListIterator both forward and backward directions are available.Replacement and addition of objects is possible in ListIterator to perform read and remove operations. In forward and backward direction it follows methods as follows. public void next();//in forward direction. public void previous();//in backward directions. Different types of Swing Cursors are available in operating systems as follows. 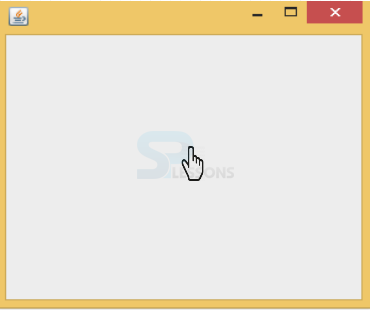 The below example shows how to create a cursor by using Swing components. Create the title of the window, size and include window tool kit to inherit the properties. Set the place of the application on the screen. Include the cursor name in the method and display the method. Output will be as follows with cross hair cursor in the window. The below example shows how to change the shape of the cursor by extending JFrame. Create a package and import all the required packages from Swing API. Create a class that should extend the JFrame and invoke new runnable object to initialize the graphical user interface. Create object to the class and add size to the window with object. 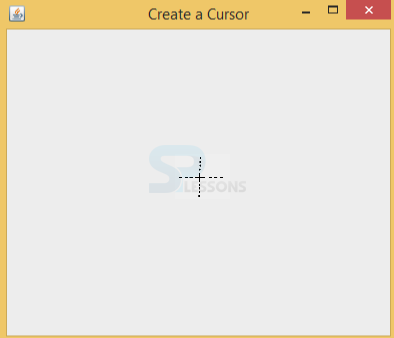 Create any cursor like HAND CURSOR and set the cursor in object. Output will be as follows with hand cursor in the window. This example shows how to create the redirecting cursor with swing components. Create a package and import all the required packages. Create a class that should implements the ActionListener and add title to the window, set the default button, set the default cursor. Add ActionListener on the button. To change the cursor back to the default place. 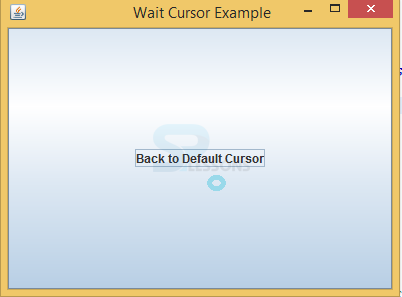 To change the cursor to the wait cursor mode. Output will be as follows with wait icon is spinning. When click on Back to Default Cursor it comes to normal state. Cursor used to pic the single element from the multiple elements. ListIterator is the powerful cursor.